Create unlimited confidence and motivation for success and happiness. Find fulfillment and empower yourself to be the best "you" you can be. Take charge of your power and let your inner light shine. 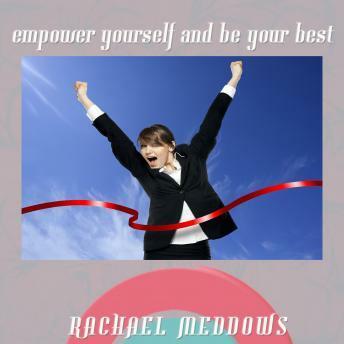 Let Rachael Meddows show you how with "Empower Yourself and Be Your Best Hypnosis". "Empower Yourself and Be Your Best Hypnosis" helps you empower yourself in new and exciting ways that will increase your motivation for success and fulfillment. Your mind will receive deep hypnotic suggestions for positive change, removing self-doubt and creating positive belief systems, increasing your focus and drive, and helping you create empowering self-beliefs. You can create inner strength and start believing in your power today. Don't wait another to be the best you can be and start achieving your goals and dreams with hypnosis.